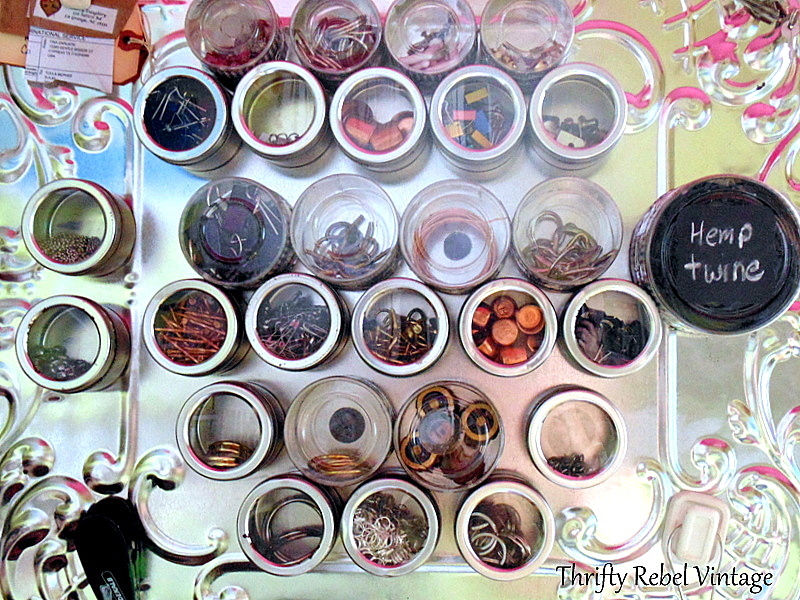 This is the time of year when I always like to get things in my craft room reorganized. 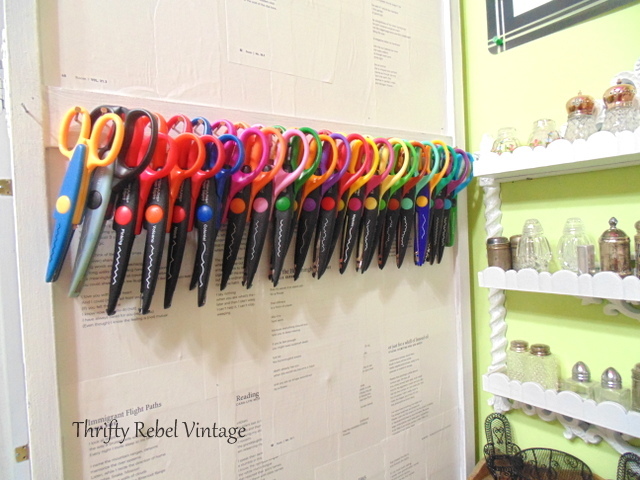 It’s weird how during the rest of the year the disorganization that becomes my craft room doesn’t bother me, but as soon as winter hits it’s a different story. So during the winter months I’m always reevaluating my stuff. I purge and donate what I’m not feeling anymore and don’t think I’ll be using, and I reorganize what I’m still loving and have high hopes for when it comes to a future project. 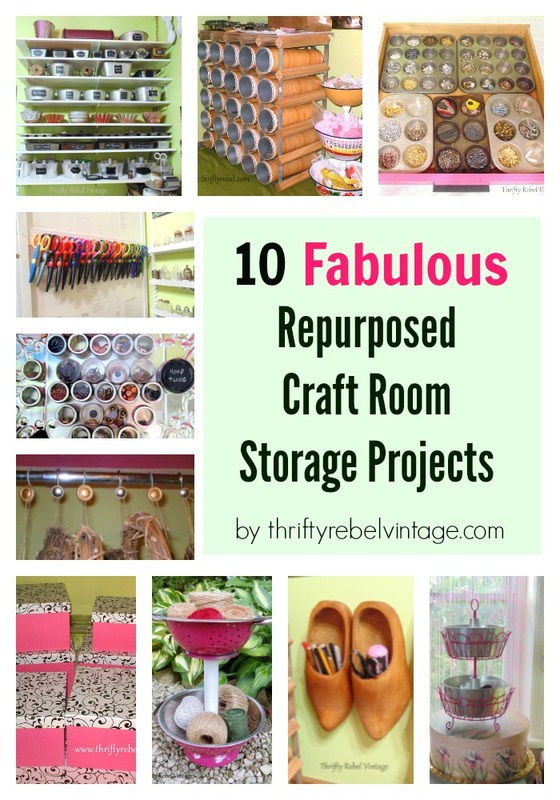 So here are 10 repurposed craft room storage projects that I hope will help you. Just click on the link below each photo to go to that project. Save this post for later by pinning! « Fabulous Finds Friday: Who The Heck Is She? 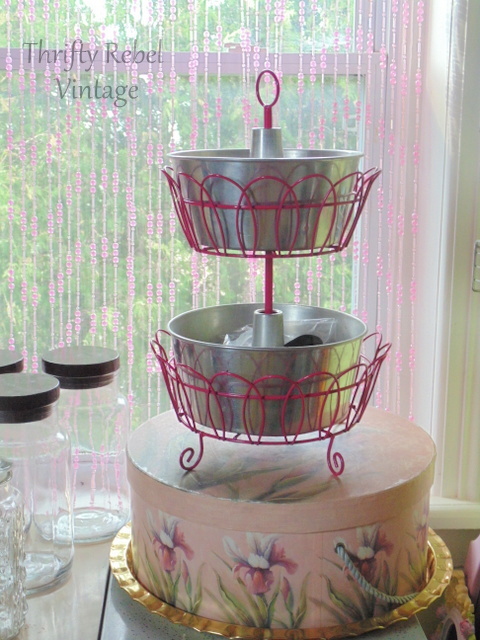 Love the bakeware storage! You have such a creative mind. Thanks Mary! 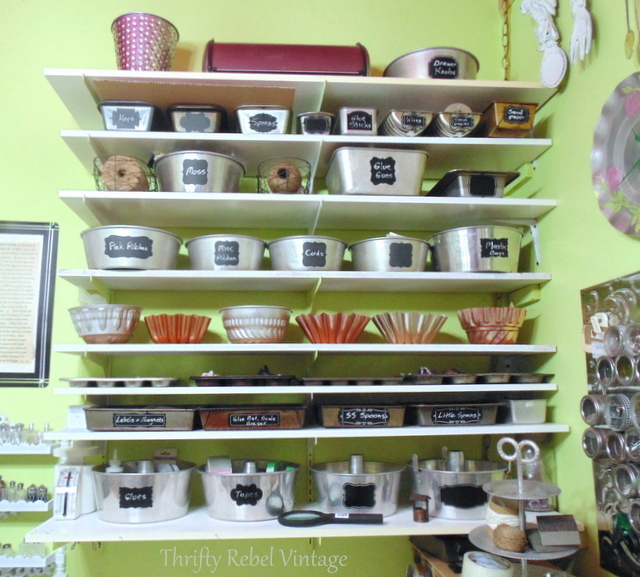 I collect vintage bakeware, and I love using my collections in a practical way. 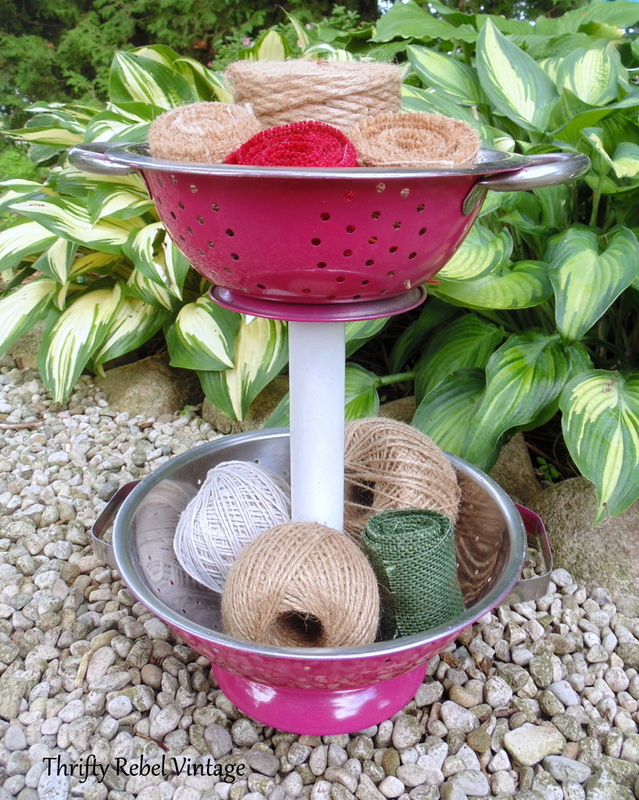 I love the Pringles cans in the wine holder….very creative! 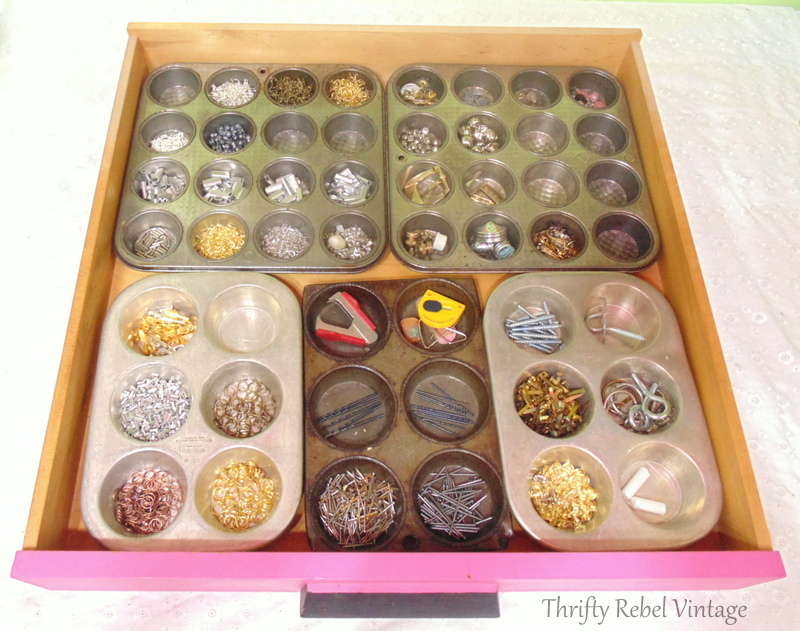 I would probably use that idea for storing scrabble tiles or buttons as I have over 1,000 of each! But I would have to ask people for the Pringles cans as i don’t eat them. Thanks Elaine! Wow! That’s a lot of scrabble tiles and buttons. 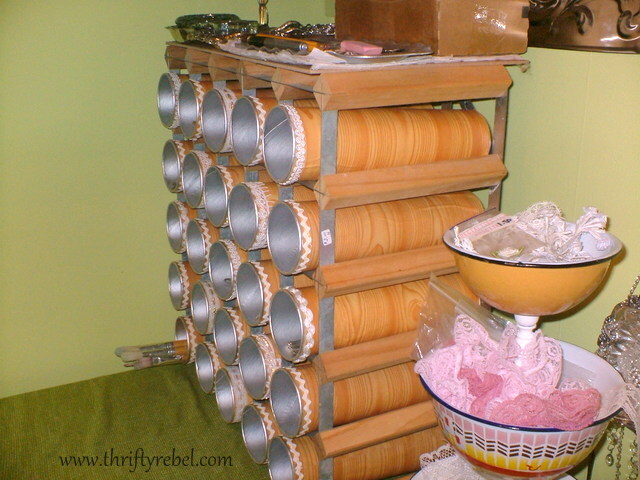 If I were to make this project again I would also have to find the cans somewhere because I don’t eat them anymore either. Maybe put out the word to family and friends. 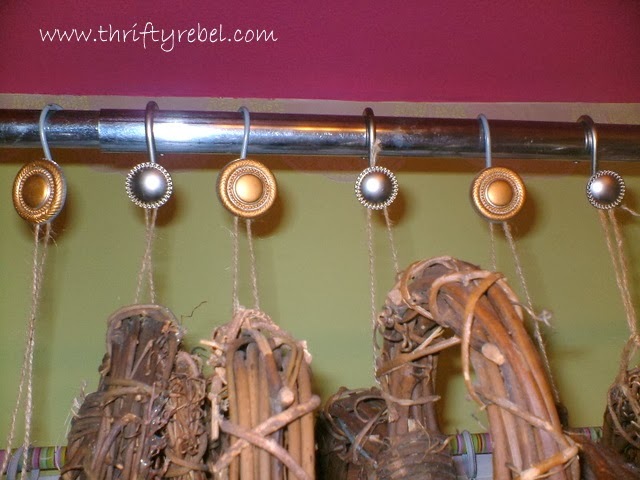 What wonderful ideas for a craft room. Thanks so much! Thanks Brenda. I’m so glad you enjoyed them! You have some great ideas to get me thinking! We have a room above the garage that we never did anything with since we bought the house 4 years ago. Thanks for the inspiration! 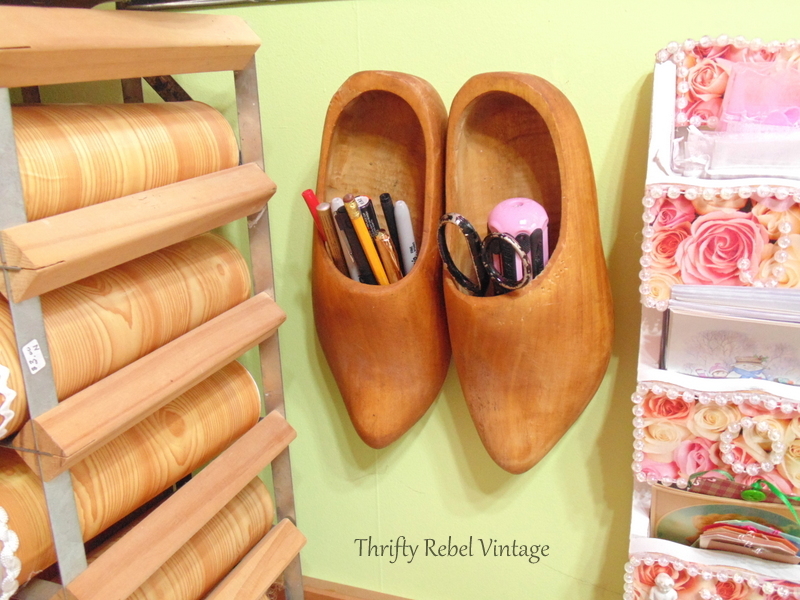 Love the one with the wooden shoes & the bunt pan tiered storage! So cute! Thanks Florence! I was lucky to find those wooden shoes at a garage sale. I haven’t see another pair since then. Using dutch shoes as a pencil holder is an adorable idea! 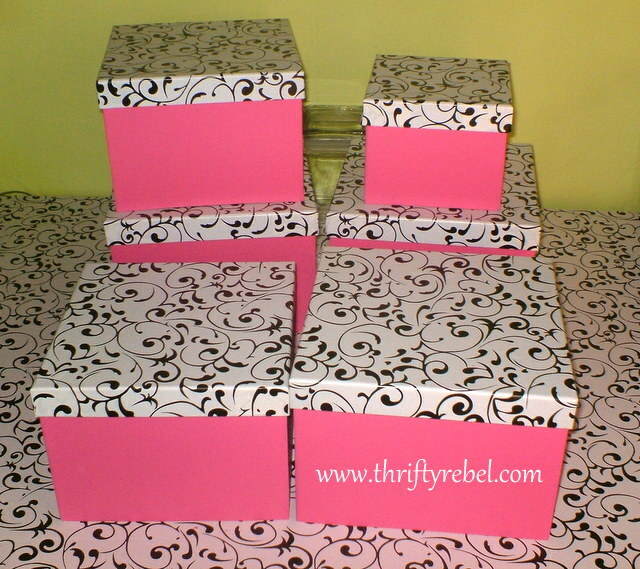 You have some fantastic ideas in the post for organization.